Captain America The Winter Soldier was directed by Anthony Russo and Joe Russo, written by Christopher Markus and Stephen McFeely. This sequel stars Chris Evans, Samuel L. Jackson and Scarlett Johansson, mostly returning characters to their previous roles. The story goes that Captain America is struggling adjusting to daily life, he feels out of place and from another time, which he is. Steve Rogers is soon united with his old nemesis The Winter Soldier from the Soviet Union and then they do battle. 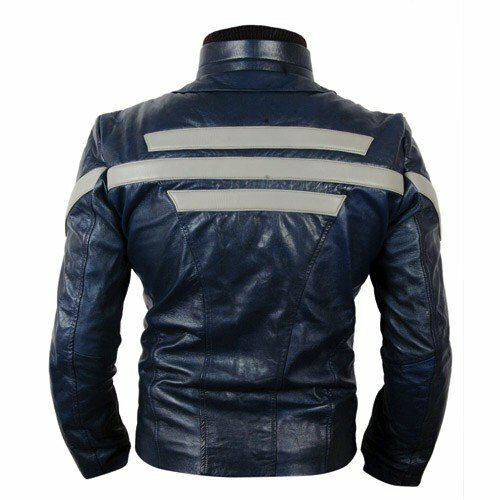 This blue leather jacket is made from genuine sheepskin leather, it comes with a grey star and grey stripes, a little closer to the original. 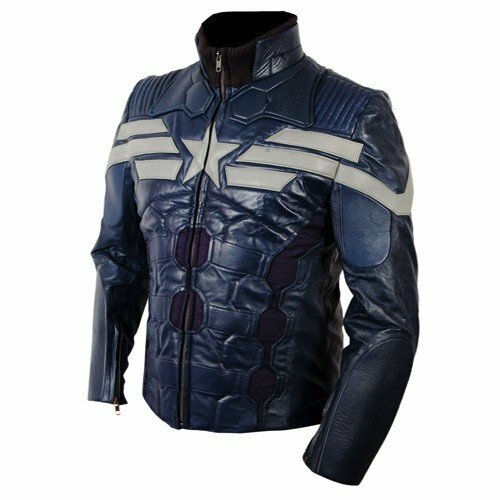 The Captain America Leather Jacket has zipper cuffs, shield padding on the forearms and the upper arms. The collar is a stiff leather collar with an open front and inside of that there is a cloth ribbed elastic collar to keep you warm and not let the cold air in. 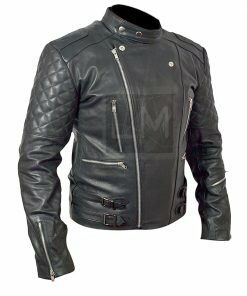 The center part of the jacket has perforated jersey cloth with leather on top of it to give the leather jacket the ribbed effect. 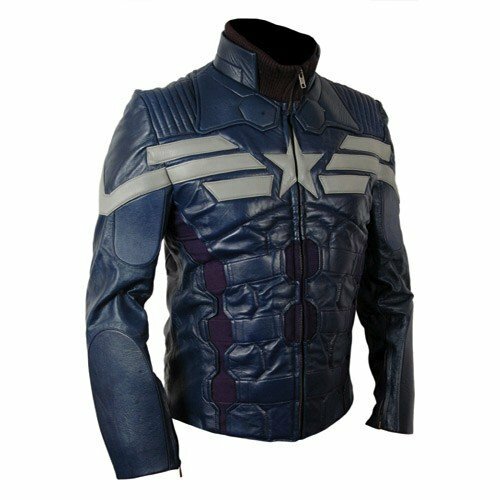 We also offer the Captain America Leather Jacket with white star and stripes. 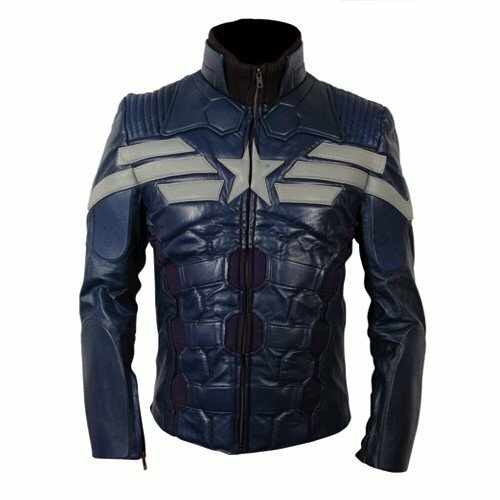 The Captain America The Winter Soldier Blue Sheepskin Leather Jacket is available in all sizes from XS to 3XL please consult our sizing chart. We also offer custom sizing for an additional $ 50.00. 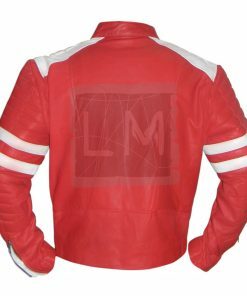 We will make the jacket according to your measurements so it fits like a glove. I will say I was a little hesitant ordering the jacket from out of my country but in hindsight I was more than impressed. I received my jacket to the east coast of the United States in less than a week. Their communication for me was also very impressive, they responded in each of my emails in less then 12 hours. Upon receiving my package I was a little worried, it doesn’t come in a box, more a parcel. Once I opened in up though I was pleasantly surprised to find my jacket in its own protective bag. 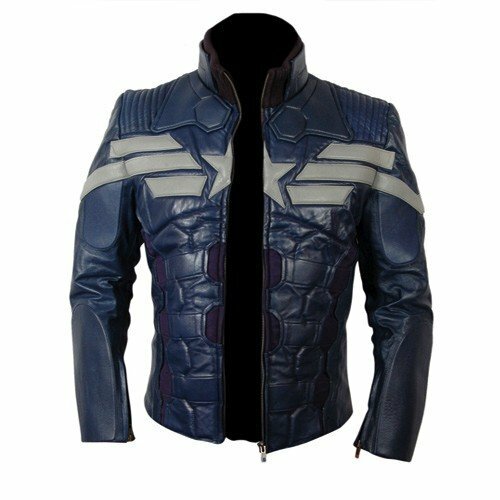 In full disclosure, the jacket has a chemical-ish smell, however I would imagine that it is part of the manufacturing process and will wear off over time (so I’m not too worried about it). The colors are a little more subdued then the pictures on the website (especially the gray) which I found as a positive (I had considered using antiquing gel on the leather if it was as bright as the website). While I would still like to see how the jacket functions over time, but it seems well made. The seams are all sewn well and the jacket does have a quality about it. One strange thing, and this could be regional, the zipper is left-handed, not a big deal just thought others may want to know. 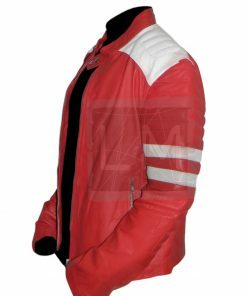 The listing indicates that the jacket does not have any pockets, however it does have two inside breast pockets. Have to say the jacket is good for temperent conditions, it’s not going to keep you warm on the cold days (under 50 degrees Fahrenheit/10 Celsius), more of in place of a sweatshirt or light jacket. Overall I’m glad I bought the jacket. 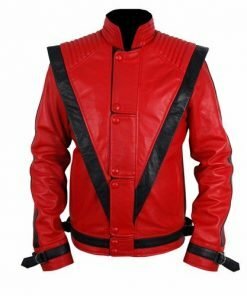 It falls somewhere in the region of “regular jacket” and cosplay, but is reasonable for everyday wear. 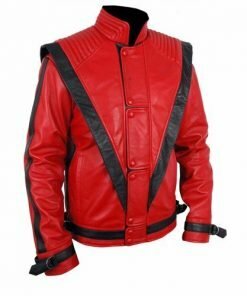 I’m looking forward to enjoying this jacket and purchasing the Bourne Legacy one next. I don’t generally write reviews but I had trouble finding any solid information about this company. 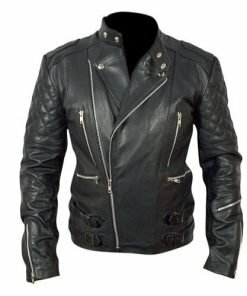 It’s my hope that others will find this valuable, buy jackets, and hopefully the company will be able to produce more cool jackets.